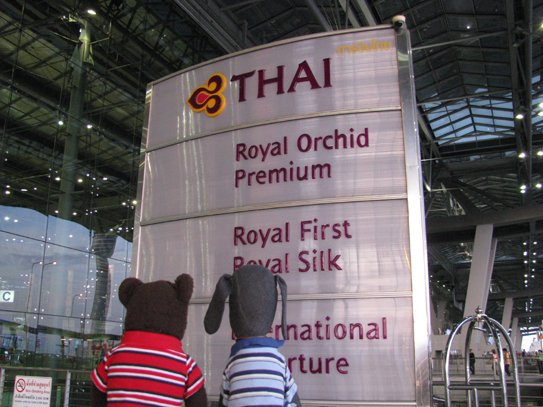 The boys made their first trip to Asia when the visited Thailand in April 2009. They travelled from Toronto to Tokyo and then on to Bangkok. 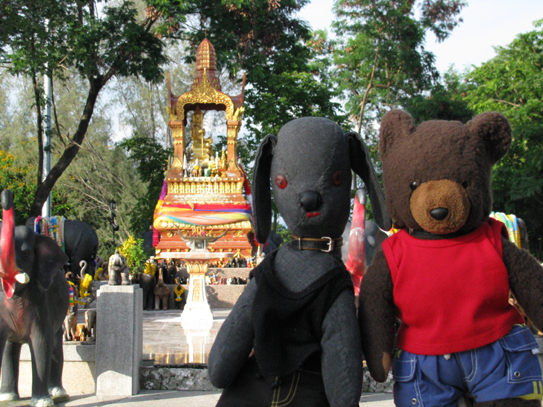 After a few days in Bangkok they flew to Phuket, a popular tourist destination an hour south of Bangkok. 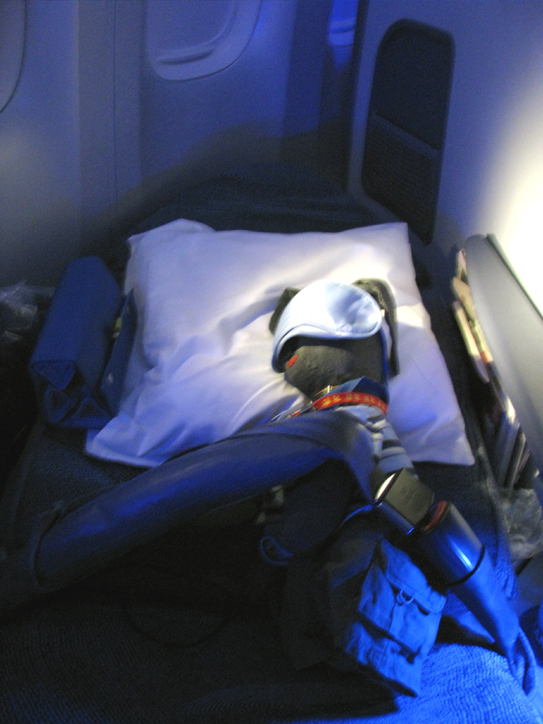 Once the first meal was over, Bow Wow took advantage of the lie-flat seat on the long flight to Tokyo to get some sleep before it was time for breakfast. 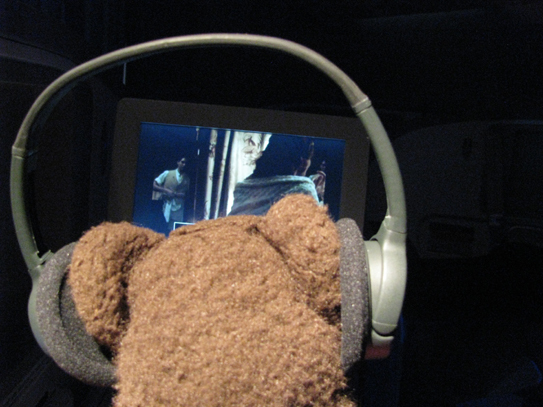 Meanwhile, Bear was determined to make the most of his time on board by eating everything offered and watching as many movies as possible during the 13 hour flight. The highlight of the visit to Bangkok was a tour of the Royal Palace and Temple of the Emerald Buddha. From Bangkok the boys flew Thai Airways to Phuket. 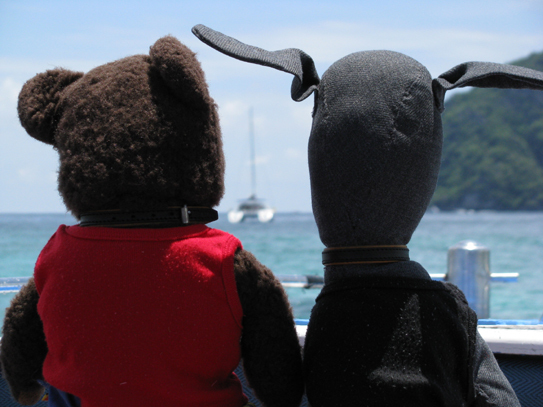 The boys took a boat cruise from Phuket to some of the neighbouring islands. 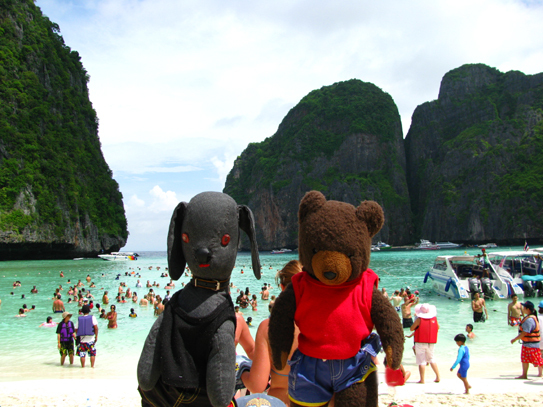 Here they are at Maya Bay on Phi Phi Lay Island where the movie the Beach was filmed. Next stop was Phi Phi Don Island. 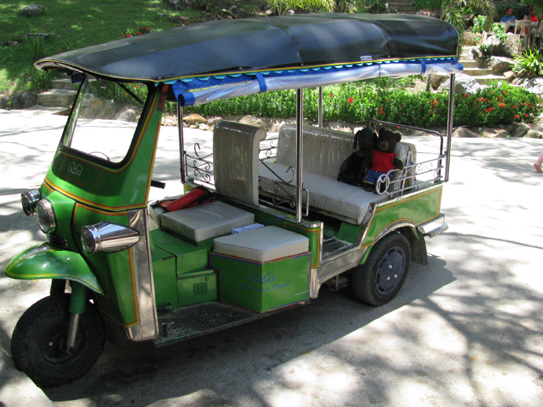 The boys looked high and low for a tuk tuk to take them around the island. If only they could have found one with a driver! Move the mouse over the picture for a close up. 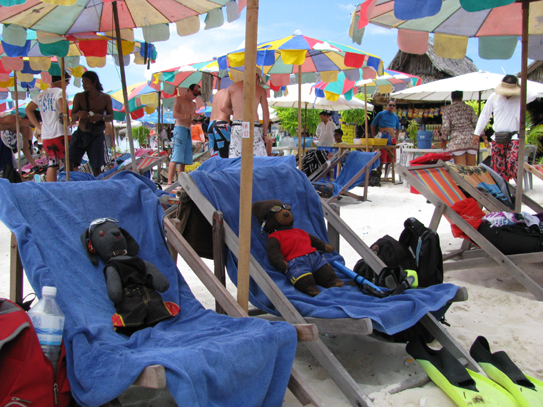 On Kai Nok Island, they opted to just relax on the beach instead of going snorkeling after discovering that their masks, snorkels and flippers were too big. 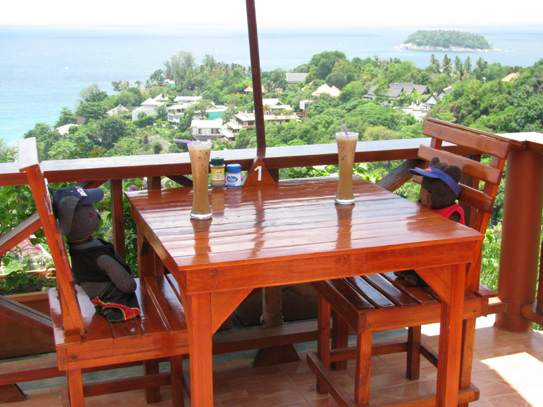 The boys took in the scenery at Promthep Cape at the southern most point of the island of Phuket. Move the mouse over the picture for a different view. 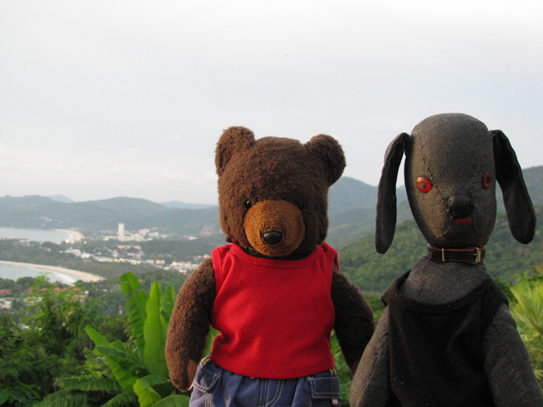 From Kata look-off you can see all the way north to Patong. 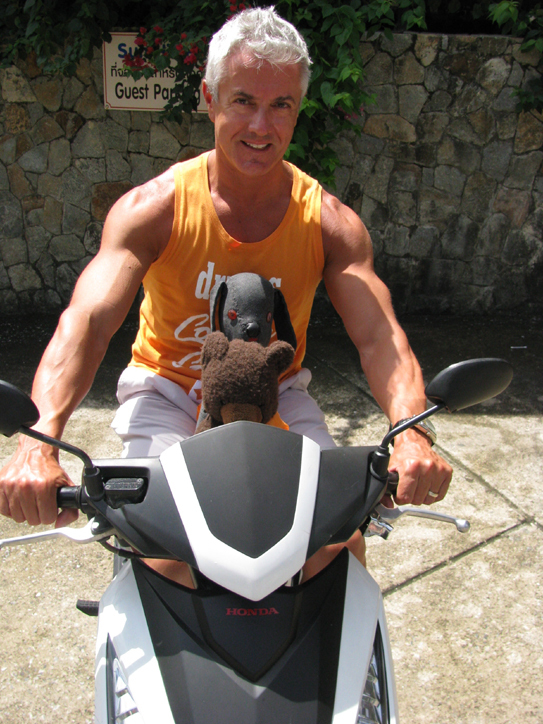 Unable to find a moped their size, the boys had to rely on a driver to take them around the island. In the 36 degree celcius heat frequent stops for iced coffee were a necessity. 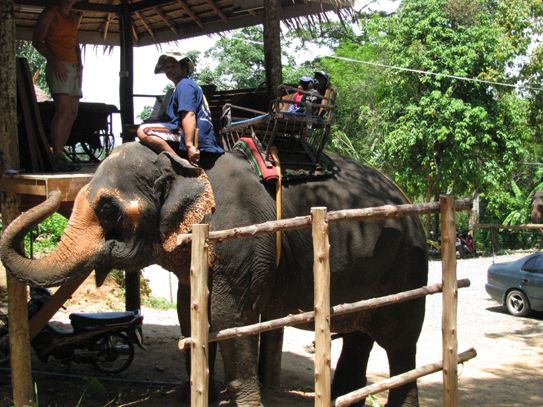 Always up for a little bit of adventure, the boys went elephant trekking. Move the mouse over the picture for a close-up. 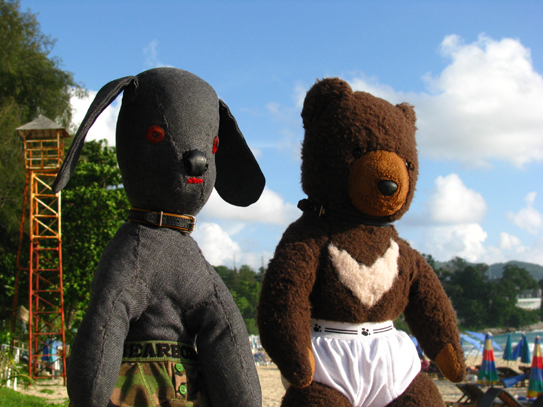 Like most tourists to Thailand, Bear and Bow Wow made daily massages on the beach a part of their routine. 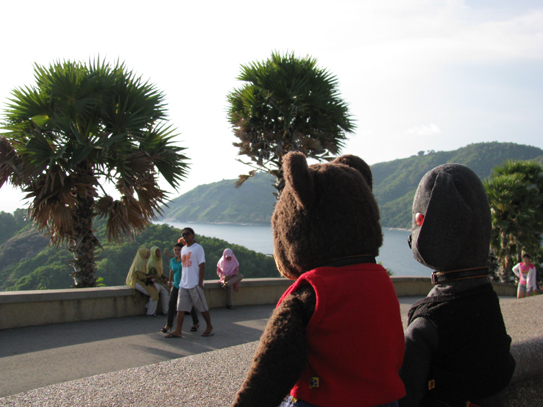 A trek up the mountain to see the Big Buddha is another must for tourists to Phuket. The boys were so relaxed in Phuket that one day they forgot to get dressed, showing up on the beach in their underwear instead of their bathing suits. Move the mouse over the picture for a different shot. 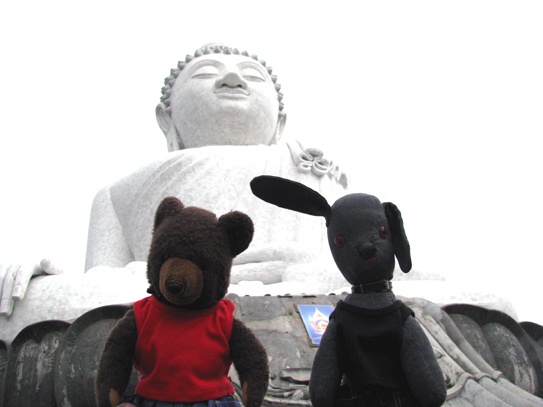 After deciding that orange was a good colour for their fur tone, Bear and Bow Wow briefly toyed with the idea of joining an order of Buddhist monks, until they realized the sacrifice and self-discipline that would be involved. The boys made an over night stop in Tokyo on their way home to Toronto. 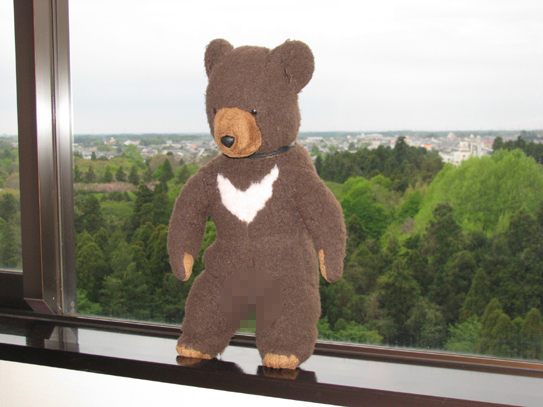 While getting changed in his hotel room near the Tokyo airport, Bear thought it would be fun to moon the village of Narita. 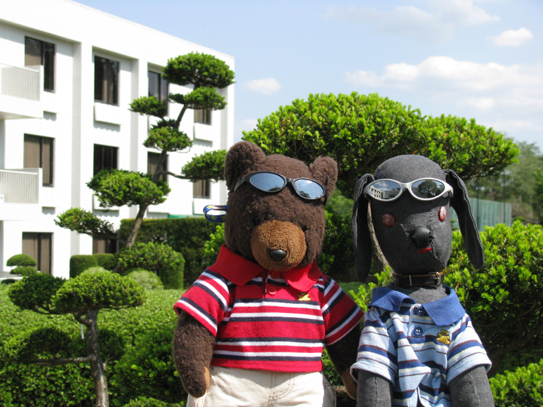 The boys took advantge of the lovely spring weather in Japan to go for a stroll around Narita. Move the mouse over the picture for a different image. 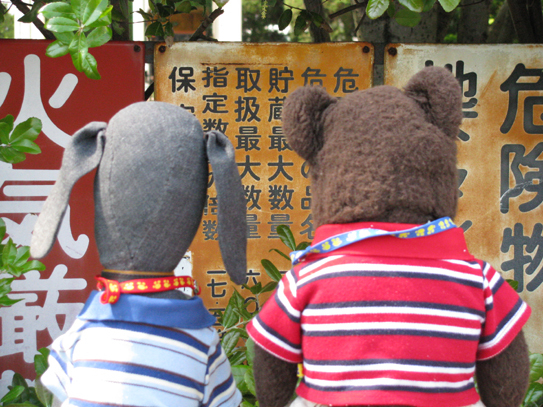 The boys were confounded by some of the signage they encountered in Japan. 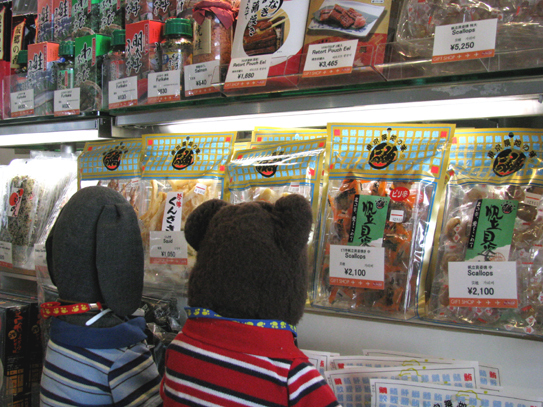 They were even more confounded by the array of treats available in the shops. Who wants to snack on dried scallops or eel?